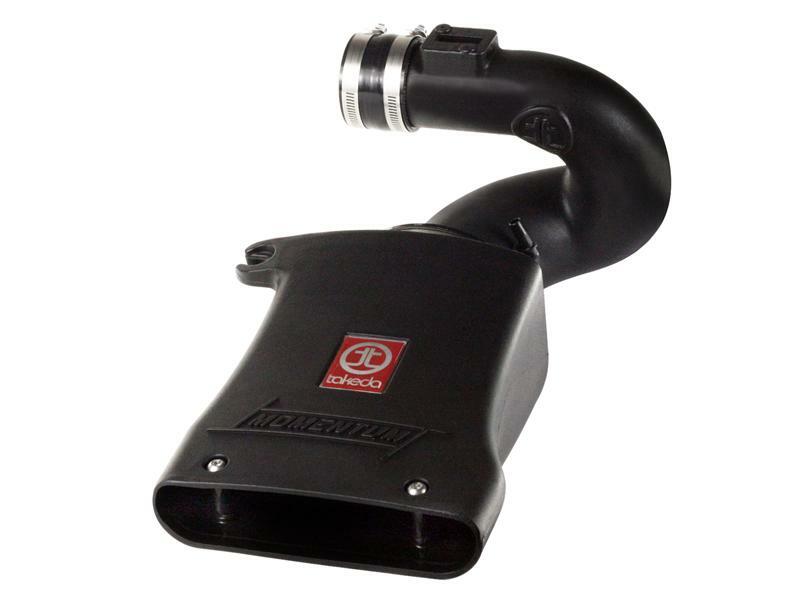 The all new Takeda Momentum GT Cold Air Intake System produces considerable horsepower and torque over stock, while outflowing the factory intake by up to 57%. Lke other Takeda intakes, this system is offered with a PRO 5R oiled filter or DRY S dry filter for maximum airflow. Also included is a wrinkle black rotomolded intake tube designed to increase airflow for maximum torque. Takeda intakes come complete with all necessary hardware. This Momentum intake system features a unique “looped” tube engineered to improve low-end torque.